Democratie bestaat niet: ‘Mad Dog- Child-Killer-Trump’ aka” Mussolini” Skips Deadline to Report to Congress on Khashoggi Murder committed by Crown Prince Salam. Rutte&Buma: het is Oké. AMSTERDAM-NOIR-Democratie bestaat niet (Video): ‘Mad Dog- Child-Killer-Trump’ aka” Mussolini” Skips Deadline to Report to Congress on Khashoggi Murder. Rutte&Buma: het is Oké. 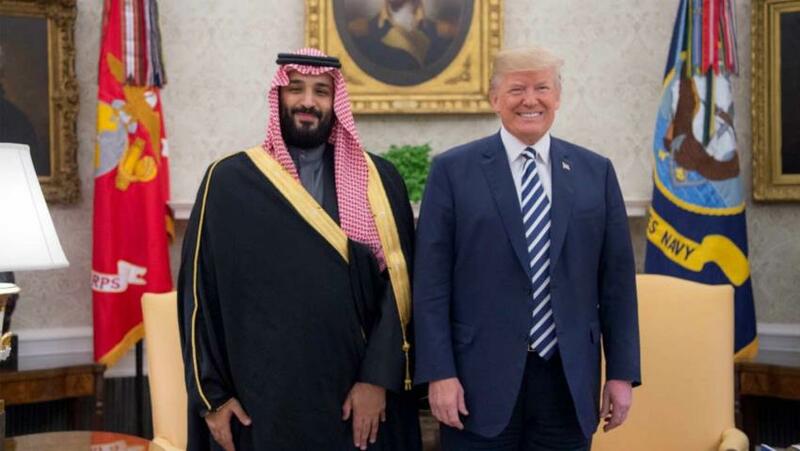 Friday was the deadline under the Magnitsky Act for President Puppet ‘Mad Dog Child-Killer- Trump’ aka “Mussolini“ Video) to submit a formal report on the murder of Jamal Khashoggi by his (bisnis) friend ‘Mass Murder-Crown Prince Salman’. The ex CIA-agent Khashoggi was murdered in October by the ‘Crown Prince &Mass -(Yemen)-Murderer Salman’ and his crime group, and senators submitted the Magnitsky request on October 10. 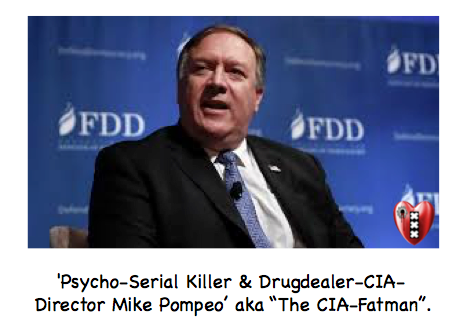 ‘Deep State,‘Mass Murder-Mad Dog Trump’& ‘Serial Killer& Drug dealing CIA’(Video). The act gives the presidentPuppet 120 days to respond to Congress on the matter, requires determinations on involvement and sanctions on those responsible. PresidentTrump has chosen to ignore the deadline, however, and never submitted a report at all. En wie doet hem wat? 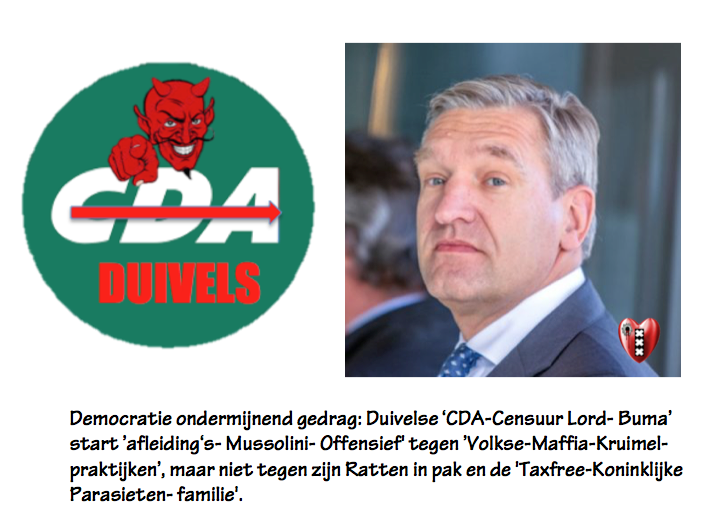 Democratie en de Rule of Law bestaan niet als het gaat om de ‘US&EU-Killer-Elite’! ( zie de Stem van de Straat-Amsterdam-Noir/SaltoTV deze week(Video))The ‘Grazy- fascist –administration’ confirmed the deadline existed and was deliberately ignored, saying ‘Mad Dog-Trump’ believes he has “discretion to decline to act.” The Senate saw this coming, which is why earlier in the week they already moved on to introduce legislation to hold the’ Mass Murder- Crown Prince Salman’ accountable over the murder, but not for the Genocide in Yemen. The ‘Deep State-US intelligence ‘agencies have concluded that the Saudi Crown Prince ordered the murder. 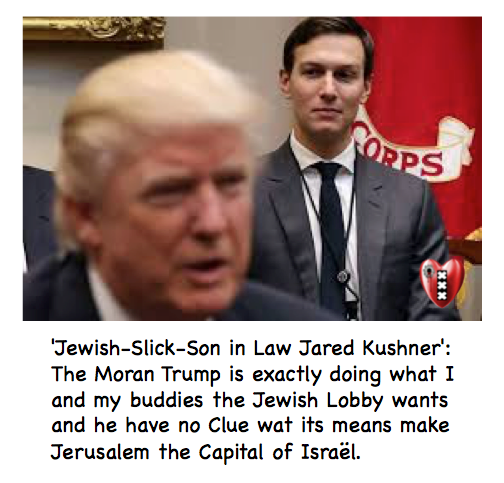 This is the consensus amongst pretty much everybody except President Puppet ‘Mad Dog Child-Killer-Trump’, who has insisted that assigning such blame would risk ‘US-Killer-Elite’arms sales to Crown Prince Salman and Mad Dog-Trump and his fascist ‘Jewish- Slick- son in Law Kushner’ future Billion Dollars Blood-bisnis corrupt deals with there friend de ‘Mass -Killer Crown Prince Salman’. nieuws is om op te rapen op de internet je moet het weten te vinden en dat is wat anders ! Trump maakt er een soort familiebedrijf van, best wel innovatief. Hier is zn dochter Tiffany Trump dikke maatjes met de Chinees Wang Tao. Wat mij betreft hebben de Trumpjes nog groot gelijk ook. In China is de status van Mark Rutte ongehuwd zonder kinderen!